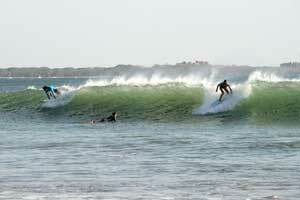 Find the best waves on both coasts of Costa Rica. 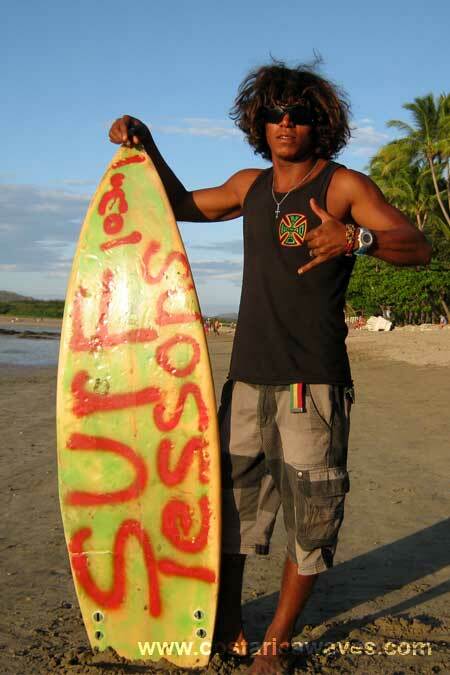 There are so many surf spots in Costa Rica that you will need month to surf them all. Costa Rica is a perfect place for surfing for a number of reasons. These include waves year around, warm water and relatively uncrowded breaks, when compared to France, Spain, California and Australia. Bruce Irons, from Hawaii, surfing in Costa Rica. 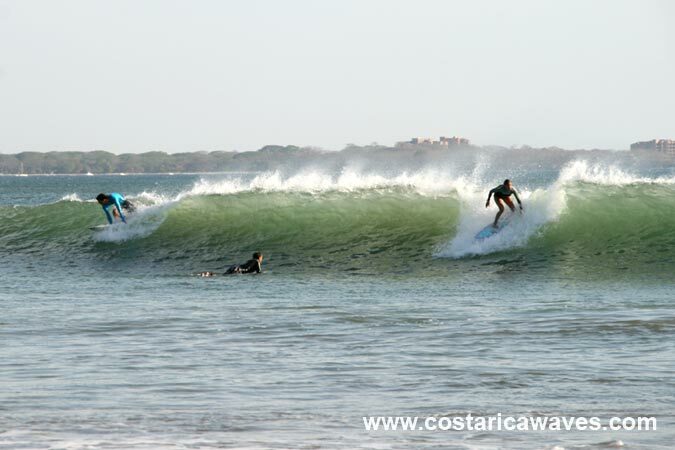 Surfers in Costa Rica can choose between 2 coast lines, the Caribbean and the Pacific. When is the best time to go on a surf trip to Costa Rica? Basically there are always waves here you just have to know where to go. 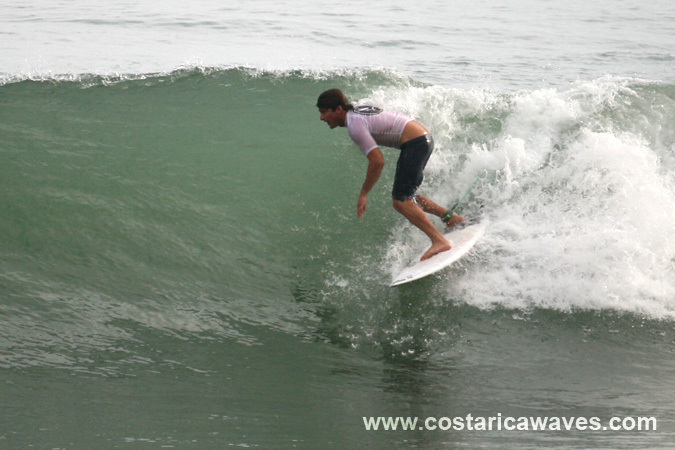 You can almost always find great surf in Costa Rica, no matter what weather conditions and at what time of the year. 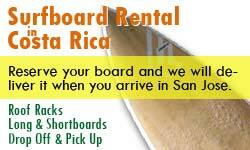 There is always something for you to ride in Costa Rica! You could say that there are 4 basic surfing regions in Costa Rica: North Pacific, Central Pacific, South Pacific and the Caribbean. Dropping in at Playa Grande, Guanacaste. Costa Rica has some of the very best waves in the world, and the locations are spectacular and exotic. Some of the famous breaks, like Pavones and Playa Escondido, are now busy, but there are still hundreds of kilometers of coastline where unsurfed breaks are waiting to be discovered. 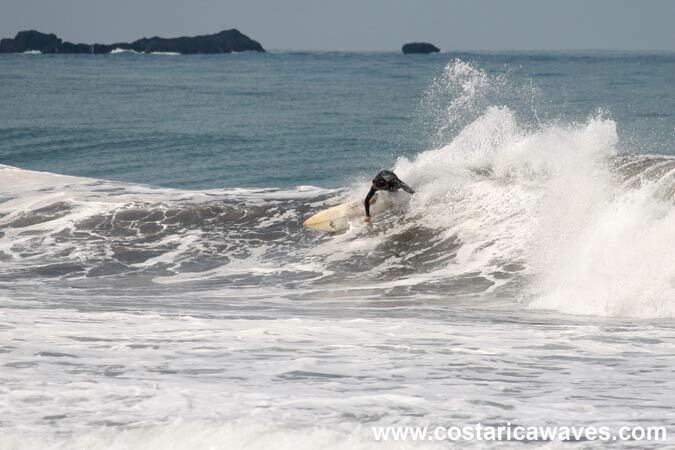 To learn more about surfing in Costa Rica, browse the list of surf spots of Costa Rica! 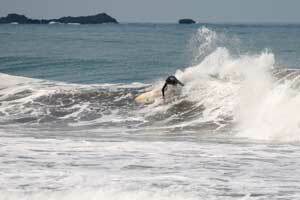 Surfer in the waves of Playa Jaco. Located on the central Pacific coast of Costa Rica, in relatively close proximity to the airport and San Jose.